I don’t care what people say, it’s the little things that get you and Christmas is no exception. If you are like me, then you are on a budget…a tight budget. So I am sure you are constantly doing what you can to keep things in check trying to stay clear of budget busters. You know those hidden expenses that seem to jump out of nowhere and cause us to whip out the credit card? 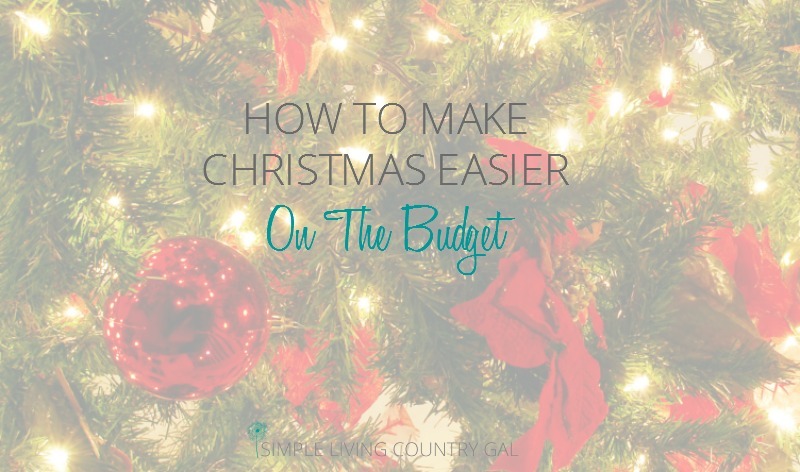 This post is going to help you prepare for a bit budget buster and show you how to budget Christmas to save money holiday shopping. It never fails, no matter how much I plan for the holidays I tend to be over what I estimate. Year after year it was the same story. I would set a limit of what I could spend and before I knew it was over budget. After one pretty crazy expensive holiday, I finally had enough. I took a look at what I spent that year to see where the most money went. I was floored at what I found out. You know, the little goodies that you stick in those wonderfully festive stockings that hang by the chimney with care? Well, those little trinkets can add up and quick. Especially when your kids get older and every trinket they seem to want needs plugged in or at the very least….batteries. The biggest problem is, I love stockings. I do them for Hubs, my parents, my kids, my kid’s girlfriends, our dog, and even a few of their close friends as well. I love wrapping each and every item in there and then watching the recipients open them all laughing at some and yes rolling their eyes at others. I remember the first year I did a stocking for my dad. He was so touched to see I put in is favorite pencils (perfect for his crosswords), his favorite candies, and even a few silly gifts picked out just for him. He was surprised to see so many of his favorite things. When you know someone, a stocking is an easy gift to give. All those goodies, however, can add up quickly. Over the years I found a few ways to save big on those stockings. A few creative ways that have helped me to continue doing something I love without going into debt to do it. I usually start in July. That is usually when the best sales hit for those stocking stuffers. Also, it tends to be a time when those holiday movies hit for a little summer fun and tend to get us in the Christmas mood. I will begin brainstorming over my stocking recipient list. A small notebook works well for this but if you want something preprinted, I have a list you can download below. If you want to use a notebook instead, choose one that is small enough to fit into your purse and has a pocket that will hold coupons. This is the one I use and it works perfectly. Inside I will make a list of everyone I am making a stocking for this year along with a budgeted amount to help me to stay on track. When making the list, take the time to really think about the person and what they like. For stockings, personal is better. As you think of things just write them in your notebook. From July on, this little book should be with you whenever you are out running errands. If you see a sweet deal you can snag it knowing what you need for each person all the time. For each person on your list make a mini-budget. You should be able to fill a stocking this way for around $20 but sometimes a bit more is needed especially if that is the only gift you are doing for a person. 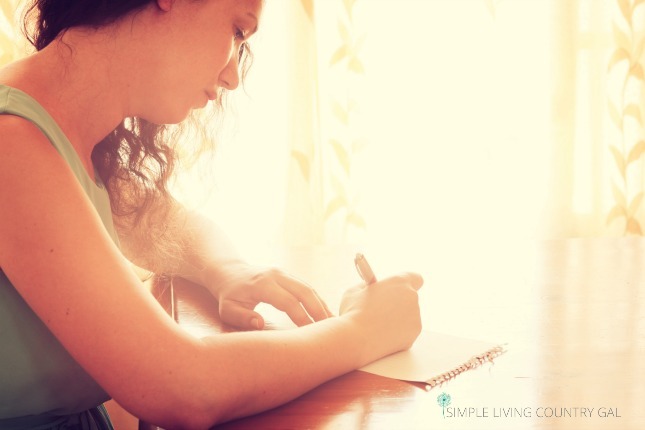 Keep a dollar amount written in your book next to the person’s name so you never go over budget. After your list is complete add up all the amounts so you have a total budgeted amount. I like to keep that money in a separate account and label the debit card HOLIDAY in black marker. This will ensure I only use money set aside for holiday purchases. If you are a cash person, no worries. Keep an envelope right in the notebook with some of the money so if you see a deal you can take advantage without dipping into your grocery fund. My Prim A Dona boys love their toiletries and must have the best brands. (Eeek, how did THAT happen??) So coupons are a must if I am going to purchase them. Back to school is usually when the best ones show up and I take full advantage. This is another reason why July is a great time to start. I clip any coupons as I come across them and tuck them into my notebook. (This is why a pocket is so handy inside.) I will then place an asterisk (*) next to each item that I have a coupon for. This tip will never let you forget a coupon again! 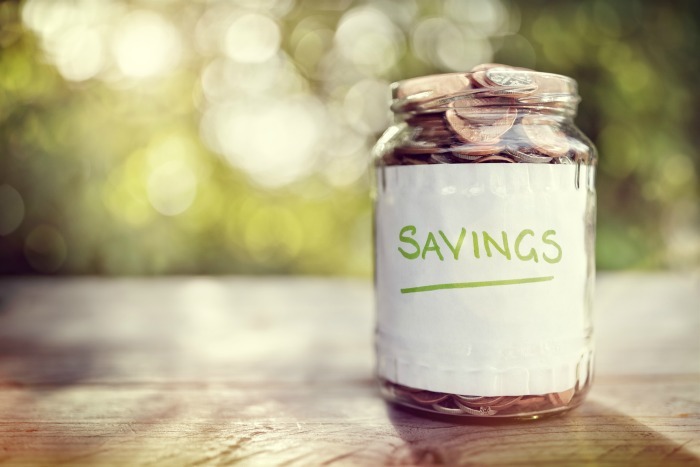 I know, I know you hear this all the time but it actually is the secret sauce to saving BIG money. Not only that but you will also save time and avoid the dreaded holiday stress. Try to keep your eyes open year-round for any deals that pop up, but really hone in your focus in July. That is when those back to school sales hit and they are the best time to pick up some great deals so don’t miss out! Notebooks, pens, crayons, markers, locker stickers, socks, even dorm room accessories that are great for a bedroom work well for stockings. It helps to know what your recipient likes and if you do you will want to keep a few suggestions in your notebook as well. If my mom is munching on a new favorite mint, I will jot it down so I can add it to her stocking stash. It really is fun when they open up their goodies and they see their favorites inside! These are much easier to find nowadays and I just love to tuck in a small trinket from days gone by. My folks love the stroll down memory lane and my boys get a kick out of what we used to consider “fun”. I like to keep a brown paper grocery bag for each recipient and put the gift inside as soon as I get home. This saves me from having to hunt down items closer to the holidays and also from overbuying. Make sure to write the recipient’s name on the outside of the bag as a reminder. This tip may sound too simple to do, but trust me on this. I forgot to do this once and couldn’t for the life of me figure out whose bag it was! Another tip is to not wrap your gifts early. I did that once, only once…..and ended up having to open things to make sure I had a certain item bought. When I purchase an item I will write it in my notebook and highlight it as well so I know not to buy it again. I do not recommend crossing items out. When you start as early as I do you may forget what was bought. I have been shopping and bought something twice because I couldn’t read it after I had crossed it out on my list. Written down means “buy” and highlight means “bought”. 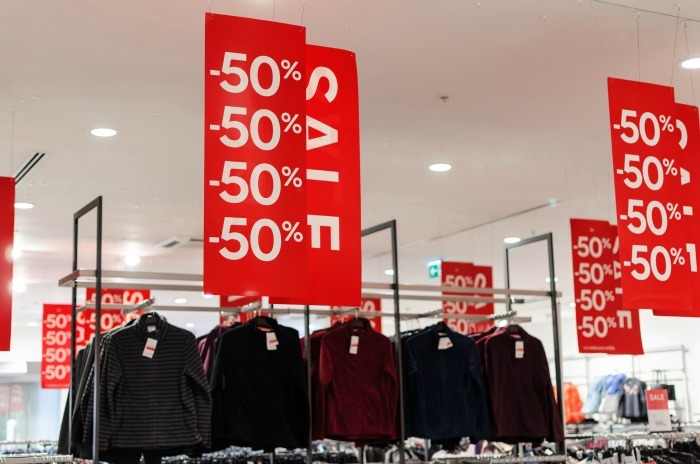 A simple solution that saves money by avoiding repeat buying. And that’s it! If you start now I promise before you know it you will be able to check off most of your gift-giving list! 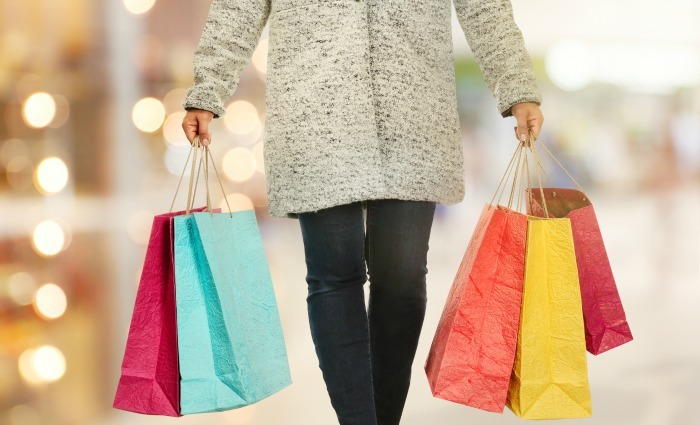 There is nothing more satisfying than knowing a large chunk of my shopping is completed early and at huge savings. This is also my recipe for a stress-free holiday! Just for fun, here are some of my favorite stocking ideas to get your creative juices flowing. Recipe cards – don’t forget to fill out a few with your favorite recipes! Recordable mini picture frame – this is perfect for family and friends that live far away. That should be enough to get you started, but if you want my complete list, check out The Ultimate Stocking Stuffer List for Guys. I have even more gift ideas to help you save money holiday shopping jump over to my Gift Guide page! I love your suggestions. Super post 🙂 This is always a big one at our house, even though there are only 4 of us, haha. I brought the stocking stuffer tradition with me because it’s not a tradition here in this land. We celebrate the following- December 6 (Niklaustag) with chocolates, nuts and mandarines/clementines. I also fill an Advent’s calendar for each family member (24 days!). I just love this list of stocking stuffers! It’s really long and very useful! This is a great list, Tracy! Stocking stuffers tend to be my budget buster, as well. Our family keeps growing and so did my budget limit. Now that gramdbabies are here, I’ve had to cut stockings out for my kids. With their spouses/SO, I’m up to 12! Yikes!! Starting early is imperative AND a budget/fund for this is a must! It’s kinda funny…I stress more over the stockings than I do over their main gifts! Silly…isnt it.